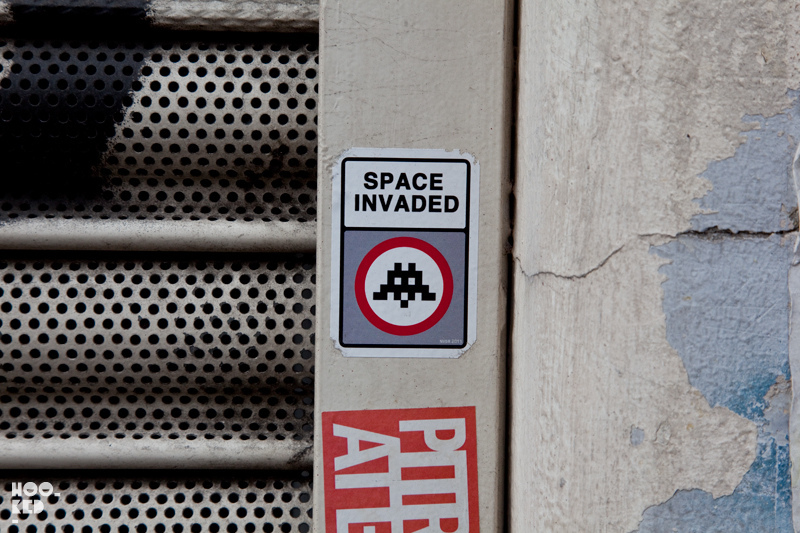 An early Christmas gift from French street artist Invader (Previously on Hookedblog) in the form of the online release of his film ART4SPACE. Invader's ART4SPACE film takes us back to 2012, near Cape Canaveral Florida where we get to witness the mission ART4SPACE being born. The film allows us to follow the incredible journey of the artist Invader and his obsession to send one of his mosaic art piece, named SPACE1 into the Earth's stratosphere and bring back the footage. London gallery Lazarides hosted the UK premiere of the film back in November 2013 at the Soho Hotel following it's world premiere at Miami Art Basel in December 2012. The film was also screened at a number of other locations worldwide as part of the ART4SPACE worldwide tour with screenings in Paris, Tokyo, London, LA, Austin Texas and in New York at the Jonathan LeVine Gallery. Despite the ART4SPACE worldwide tour and multiple screenings in some cities such as London, tickets were hard to come by for the screenings with many fully booked as street art fans around the globe quickly snapped up the free tickets. If you missed the original screening of the movie you were out of luck as there was no where online to watch this film, that is until today! Following the announcement via his @Invaderwashere Instagram account the street artist has finally released the full ART4SPACE movie online via his Youtube channel both in French and English versions. Great news for those of you who missed the film the first time around and for the rest of you we're sure like us you are are excited to be able to revist this movie again. We have shared the Invader ART4SPACE movie below so sit back hit the play button, go full screen and watch as we journey with the artist into space. As an added bonus we have also included the epilogue video : After the ART4SPACE adventure and with the collaboration of the ESA, the artists invasion headed to the International Space Station or ISS for short. The full ART4SPACE Invader film now in HD. The ART4SPACE adventure continues with a second mosaic work titled SPACE2 invading the International Space Station. For even more from Invader check out our last post about the artist featuring some of the mosaic street works from his most recent invasion of London earlier this year. Check out the post featuring works from Invaders nineth invasion of London here.